The photos in this gallery represent the Navarre Beach sights and activities that people come here to enjoy. People choose to live here because of the quiet and slower beach environment. There are only 650 people that live here year-round. 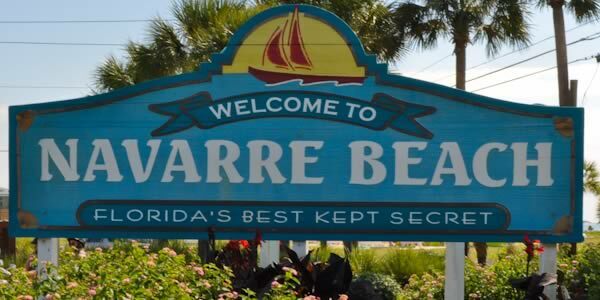 Of the all the beach communities on the Emerald Coast, Navarre Beach offer waterfront living without the crowds. Send us any photographs you would like to have included in the gallery. This iconic sign is located at the base of the Navarre Beach Bridge and is the first thing you see as you approach Santa Rosa Island. 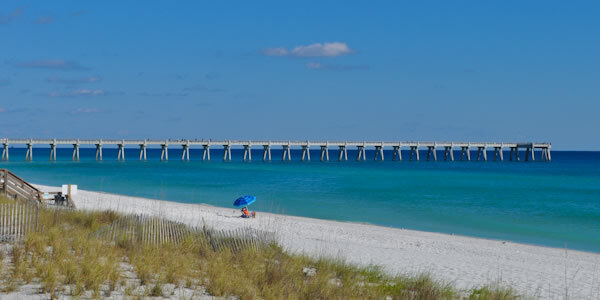 A lone person sits on the beach enjoying a beautiful day near the Navarre Pier. 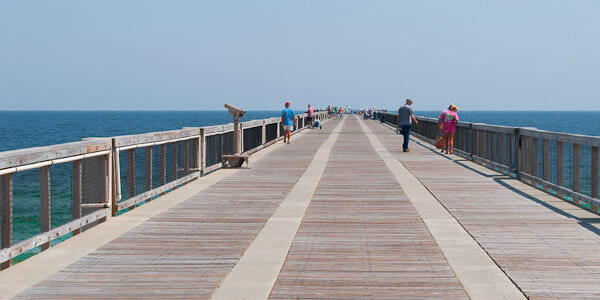 Navarre Beach Pier is the longest public pier in the Gulf of Mexico, 515 yards long. This is great location for great fishing and spectacular views of the gulf and beaches. You can even rent a fishing pole if you choose. 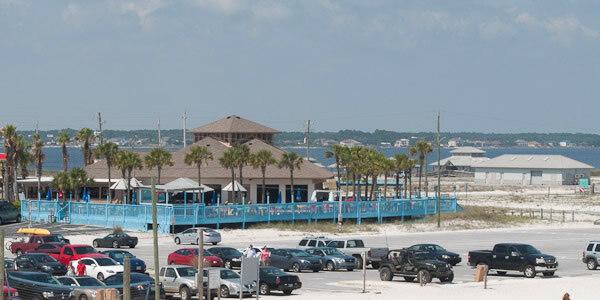 Visitors that are out for the day at the beach choose to have lunch at the Navarre Beach Pier Restaurant. A busy day at the beach as folks rent chairs and umbrellas. 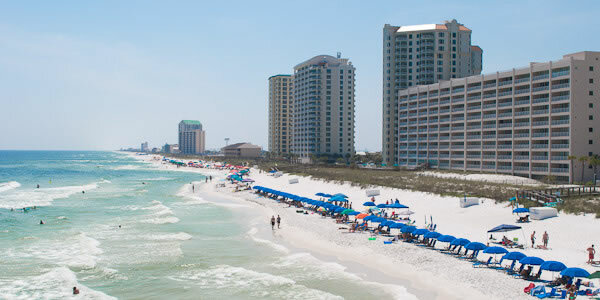 The condos seen here from east to west are the Navarre Beach Regency, Beach Colony Resort, The Pearl and Caribbean Resort. 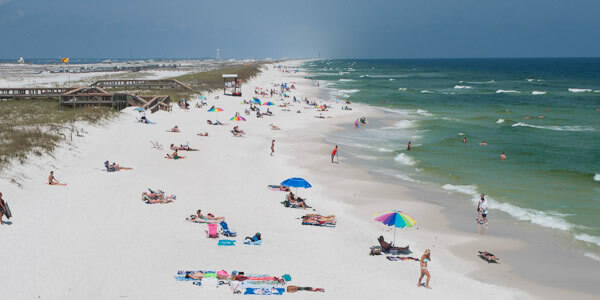 This is what people love about Navarre Beach, a relaxing beach life. Frequently, this is how residents and visitors choose to spend their free time. 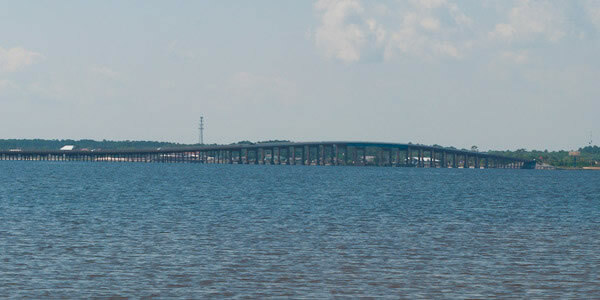 The view of the island, near the bridge, in Navarre on Highway 98. 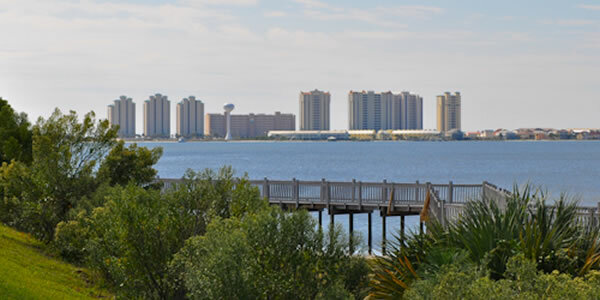 The condos seen here (from left to right) are Summerwind, Navarre Beach Regency Resort, Beach Colony, The Pearl of Navarre Beach and the Caribbean Resort. 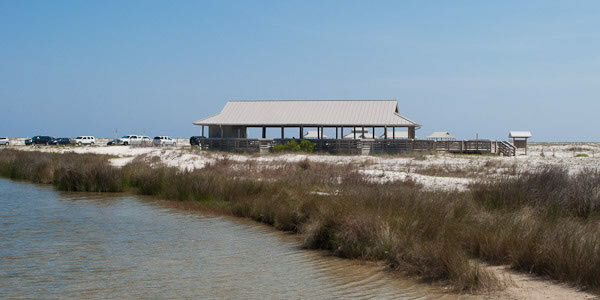 This is one of the picnic pavilions available at Navarre Beach Marine Park. The park has three reefs for snorkeling and the shallow water areas and beaches are prime locations for bird watching. 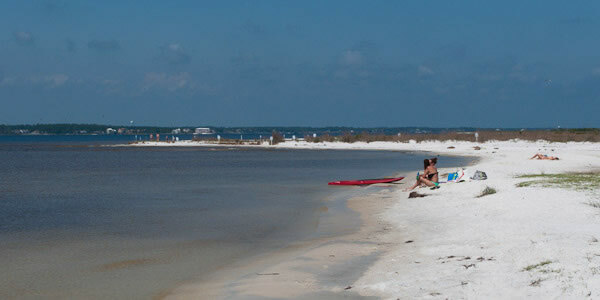 Small beach on Santa Rosa Sound at Navarre Beach Marine Park. Island view of the Navarre Bridge from the park. 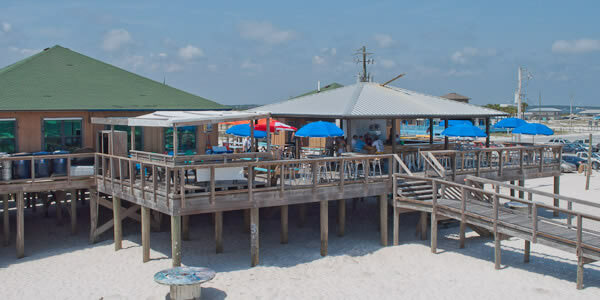 Rocco's Bistro is a favorite Navarre Beach restaurant and night spot. 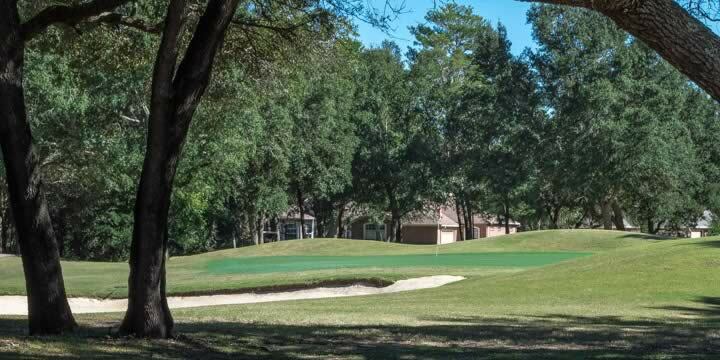 A round of golf is a great way to spend the day while In Navarre at Hidden Creek Estates.